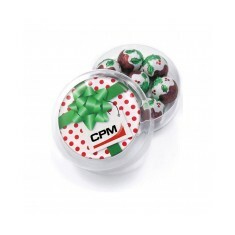 Small squares of indulgence or treat tins brimming with chocolatey goodness, our promotional Chocolate range has a huge variety to choose from. 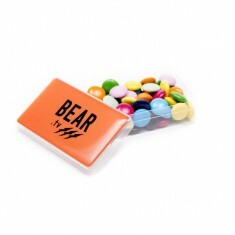 Whether an after dinner treat, some festive holiday fun or a high end branded chocolate to give out to your more premium clients, we have a range to suit everyone. 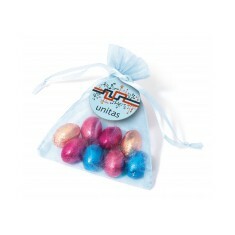 We have a whole range of sizes and shapes of customised chocolate that you can hand out. 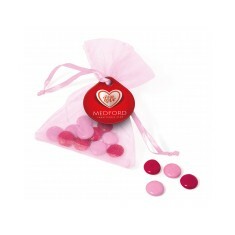 Designed with various themed versions, luxury styles or just sweet and simple, there is a personalised chocolatey treat for whatever the occasion may be. Stir up a storm with your own Hot Chocolate Melt Block when those chillier months come around. Whether it’s milk or dark chocolate that you prefer, we can supply with to make your perfect hot chocolate. 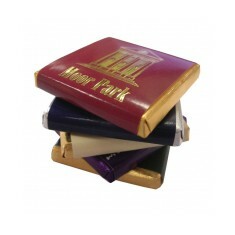 Printed onto a backing card with your design, these are premium chocolate gifts that you are sure to have seen on the high streets. Want to make sure you’re getting value for money? 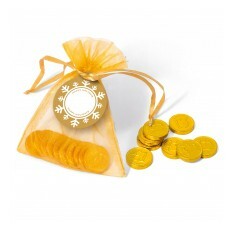 What better way than getting some Organza Bags with Chocolate Coins. 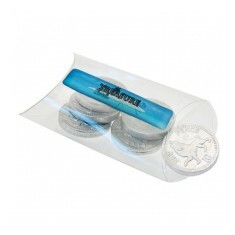 Supplied gift bagged and in either silver or gold foil, you can literally hand out a bag of coins without throwing away your money. 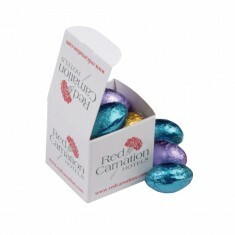 Got you dreaming of your next chocolatey promotion? 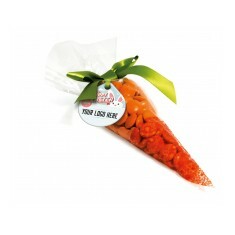 Give our sales team a call and they can arrange samples for you to check which treat takes your fancy. 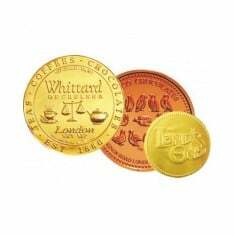 Fairly Traded chocolate. Branded in full colour with dome resin finish. Kraft presentation box. PVC material. Available with 4 filling options. Internal business card pocket. Supplied plain stock. Individually wrapped. Plain or milk chocolate available. 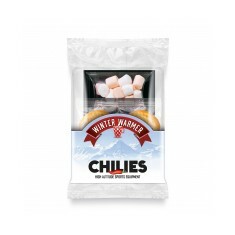 Optional additional flavourings too. 3 size choices. Branded to clear label. UK stocked. Fast turnaround. Milk chocolate. 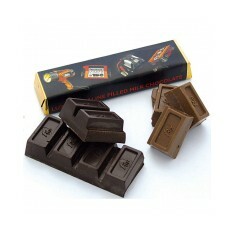 5g sold milk chocolate. Customised full colour wrapped. Large branding area. Transparent or white cello bag. 10g. Mixture of coloured beans. Great branding area. 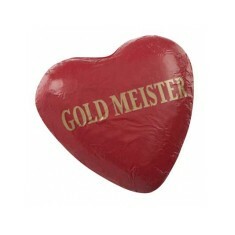 8.5g solid milk chocolate heart. Wrapped in custom printed foil. 3 foil colour choices. 55mm coins. Moulded design. Multiple coin sizes available. 3 foil colour choices. Milk or dark chocolate. Wrapped in clear cello with digitally printed band. Sugar coated chocolate pebble. Printed 1 colour. 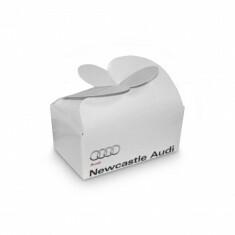 Supplied in silver or black gift box. UK made. Dark or milk chocolate. Silver or gold foil. Full colour printed label. 22g of European milk chocolate. Embossed to wrapper and chocolate. Gold or silver box. 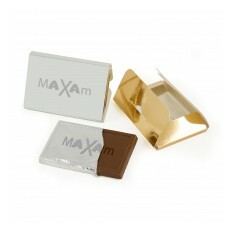 10g foiled Belgian milk chocolate. Supplied on presentation card. Branded full colour. 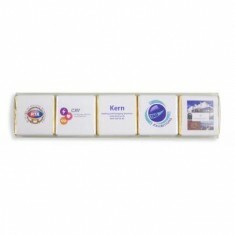 50g vanilla fudge bar with 4 colour process digitally printed label applied. Milk chocolate. 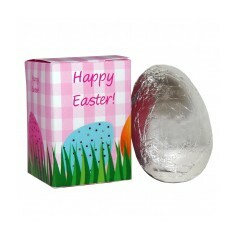 Silver foil wrap. Digitally printed paper band. UK made. 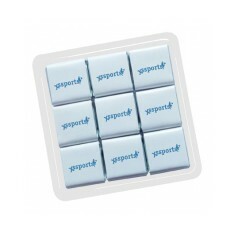 Outer pack 100% coverage branding in full colour. 3 blocks of chocolate. 2 x 15g chocolate blocks. Milk, white or dark praline. 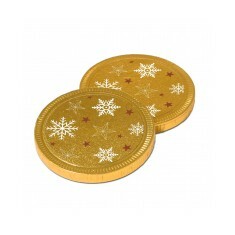 Packed in gold or transparent box. 25g. Euro or pound wrapping. Personalised to full colour tag. Fast lead time. Glass jar with screw on lid. 30g. 4 filling choices. 7 lid colour choices. Metal lid. Milk chocolate. Foil wrapped. 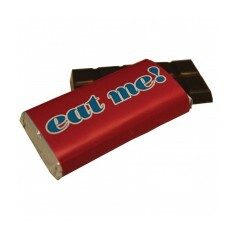 Customised in full colour to outer wrap. Milk chocolate. Foil wrapped. Branded to outer sleeve in full colour. Pre-printed design. Branded to the bottom. 3 filling choices. 12 month shelf life. 18g hollow egg. 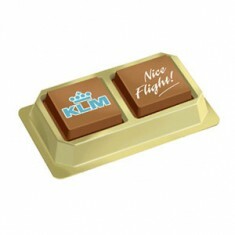 Belgian milk chocolate. Silver foil. Individually wrapped. Printed full colour. 8 individually foiled wrapped eggs. Personalised to 5 outer sides in full colour. Milk chocolate. Silver foil. 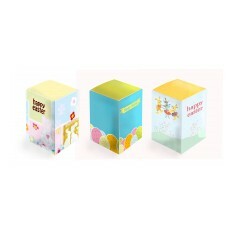 Printed full colour to outer paper wrap. UK made. 3 filling choices. 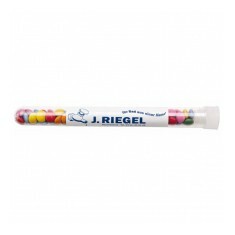 Printed directly to tube or on a label. Made from plastic. Multiple foil colours available. Custom printed to the paper sleeve. 12 month shelf life. 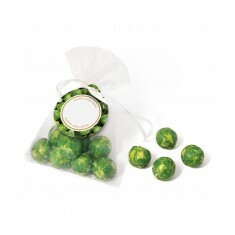 8 sprout themed chocolates per bag. 5 bag colour choices. Personalised swing ticket. 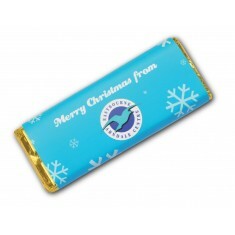 8 foil Christmas themed chocolates. 5 bag colours. 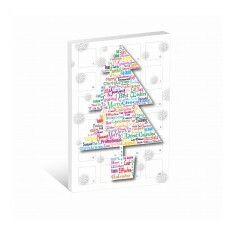 Branded Christmas tree swing tag. Silver of gold foil. 5 bag colour choices. Swing tag custom printed in full colour. 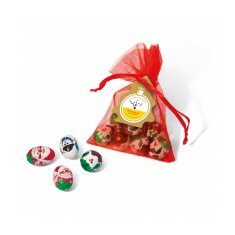 8 assorted foil wrapped eggs. Branded full colour to tag. Uk stocked. 5 bag colour choices. Fair trade milk chocolate. Fast turnaround. 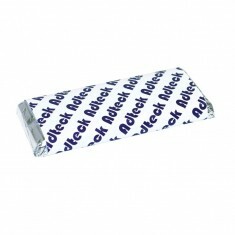 Bespoke wrapper option available. 50g. 10 foiled milk chocolates. Branded in full colour to the swing tag. Praline filled chocolate. Dark or milk. 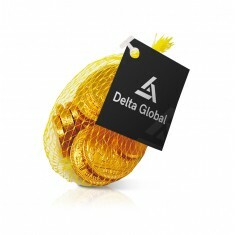 Wrapped in gold foil. Quick delivery. Silver or gold foil. 2 sizes available. 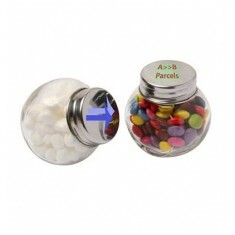 Full colour, dome resin finish branding. 2 luxury chocolates. Flood printed, full colour outer design. 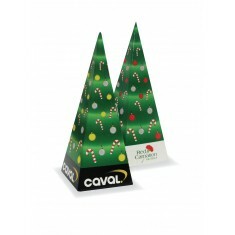 Triangular boxes available. 7 assorted foil wrapped footballs. Branded to lid. Useful for use after treats are gone. 3 piece set. 6 month shelf life. Printed full colour to label. Fairtrade hot chocolate. 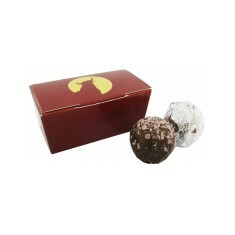 Contains 2 luxury truffles. 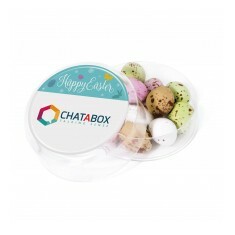 Digitally printed box. Butterfly closure. 6 month shelf life. Contains 12 eggs. 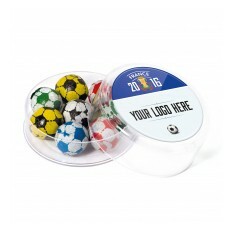 Printed full colour to lid & finished with dome resin. Re-useable pot. Choose your beanie colour. Printed full colour with dome resin finish. UK made. 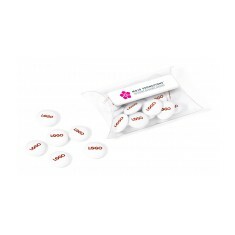 9 individually branded 5g chocolates. Clear plastic presentation tray. Official Cadburys Chocolate Fingers. 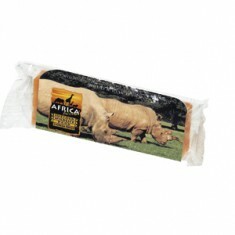 Contains 8 biscuits. Dome resin finish to print. 12 standard beanie colours. 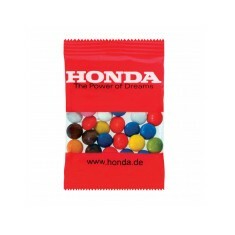 Branded full colour. UK made. Quick turnaround. Clear cello-cone. 90g of chocolate beanies. Green ribbon tie. Printed to swing tag. 25 printed beanies with 1 colour print & full colour to label. Dome resin finish. 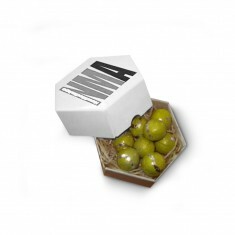 Hexagonal presentation box. 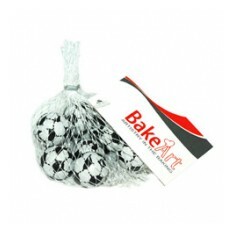 Foil wrapped milk chocolate footballs. Foil blocked design. Vanilla or chocolate flavour. White chocolate coating. 21 day shelf life. Personalised to sticker. 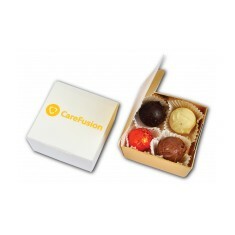 4 luxury assorted chocolate truffles. 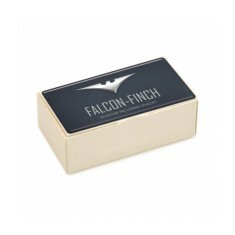 Branded foil blocked lid for premium finish. Milk & dark chocolate available. Branded in full colour to the card closure. 4 foil wrapped milk chocolates. Cardboard presentation box. Full colour, full coverage outer box. Custom printed pot. 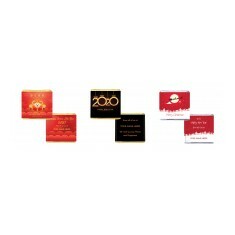 Wide selection of foils for seasonal events. UK stocked. 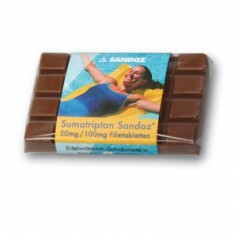 30g Belgian milk chocolate. 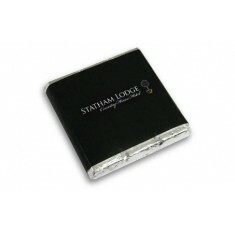 Silver foil wrap. Personalised in full colour to outer side. 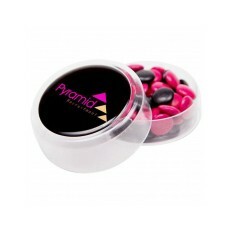 2 assorted premium chocolates. Cream cardboard box. Printed full colour with dome resin finish. Official Cadburys product. Personalised to lid. Dome resin finish. 6 month shelf life. 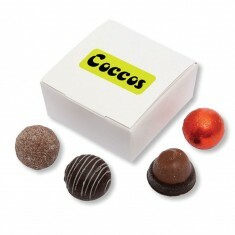 Solid Belgian milk chocolate. Printed full colour to the label. 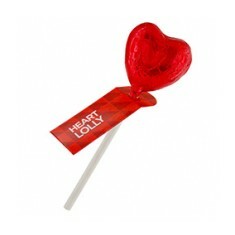 Excellent Valentines promotion! 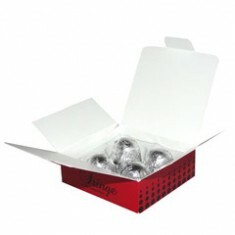 Ballotin style box containing 4 luxury truffle chocolates. 17 custom printed beanies. 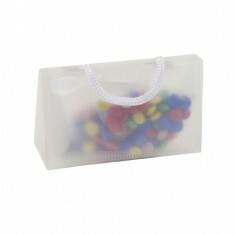 Various bag & sweet colours. Printed to the tag. 24 windows. 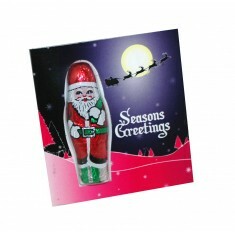 Christmas shaped milk chocolate. Stocked or bespoke designs. 24 pieces of milk chocolate. A5 size. Flood printed or stocked designs available.